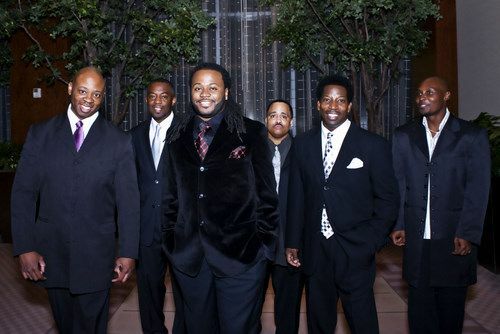 Based out of Charlotte, N.C., Peace and Love Band is one of the Southeast's premier bands. Known for their versatility, Peace and Love is an Event Planners, Coordinators and Club owner's dream. We do everything-wedding rehearsals and receptions, banquets, bar/bat mitzvahs, clubs/bars. People everywhere know when Peace and Love performs, there's going to be a SERIOUS party! If you want a versatile North Carolina cover band that can perform a variety of music scanning over five decades of music, PEACE AND LOVE is the band for you! Six incredibly talented musicians-all coming from different musical backgrounds-come together to form one of the most requested bands in the Southeast playing all of the best funk & dance classics! Founder/Manager, Rudi Meeks attributes the band's success to playing a wide variety of music to ensure everyone in the audience is entertained. Our extensive repertoire is comprised of over 100 songs for your listening pleasure. You want Frank Sinatra or Beach Music? Jazz or Motown? How about Journey or Nelly? Well, you get the picture! Peace and Love has performed with KC & the Sunshine Band, Rick Springfield, Edwin McCain, and as the opening act for Morris Day & The Time. We also had the honor of opening The House of Blues in Myrtle Beach S.C. with The Godfather of Soul-James Brown, Travis Tritt, and The Blues Brothers. These guys love performing and take the PEACE AND LOVE experience seriously. Peace and Love Band from Wilmington, North Carolina is a high energy Dance & Party band that plays Motown, Top 40/Pop, Classic Rock, Oldies and Variety songs. This band is perfect for Wedding Receptions, Fraternity Parties, Sorority Parties, Mardi Gras Balls, High School Proms, Company Parties, Fundraisers and other events. Call or email Music Garden today at 800-689-BAND(2263).